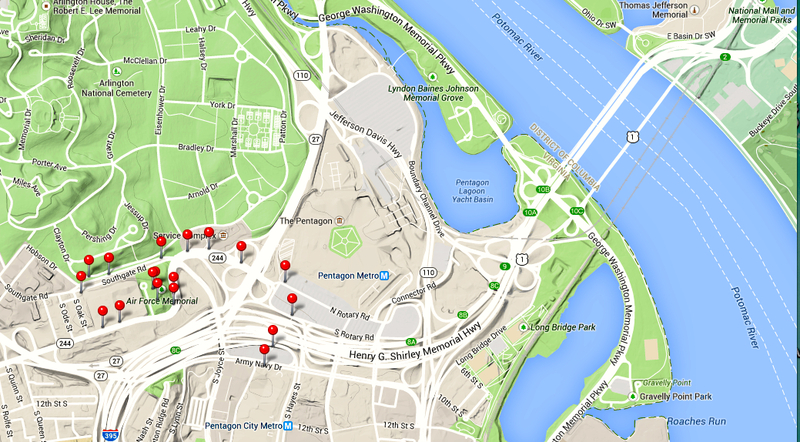 This post is one in a series of Ten 3-Mile Walks Around Washington, DC. The pins in the map below show where I stopped to take pictures but also serve to outline the route! 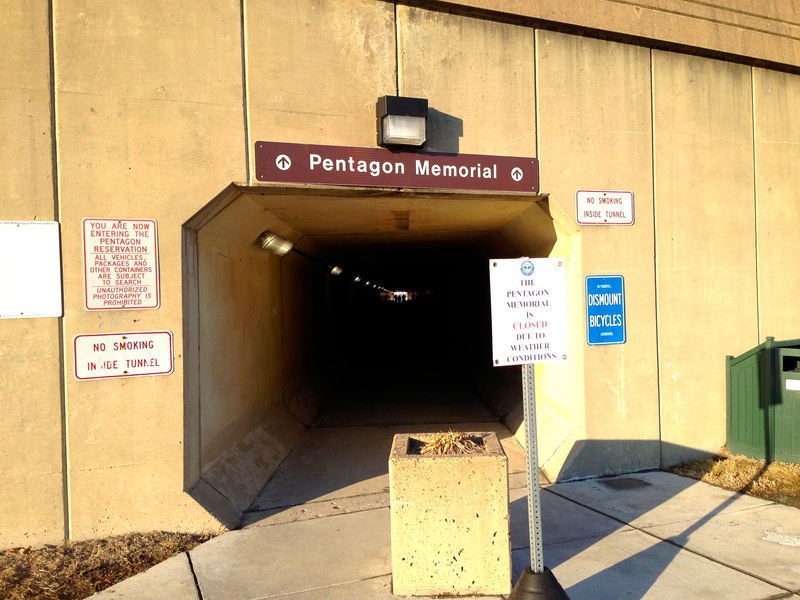 This route begins at the Pentagon City Mall and crosses under I-395 through a pedestrian tunnel. It skirts the Pentagon Reservation and ascends Arlington Heights along the southern edge of Arlington National Cemetery. 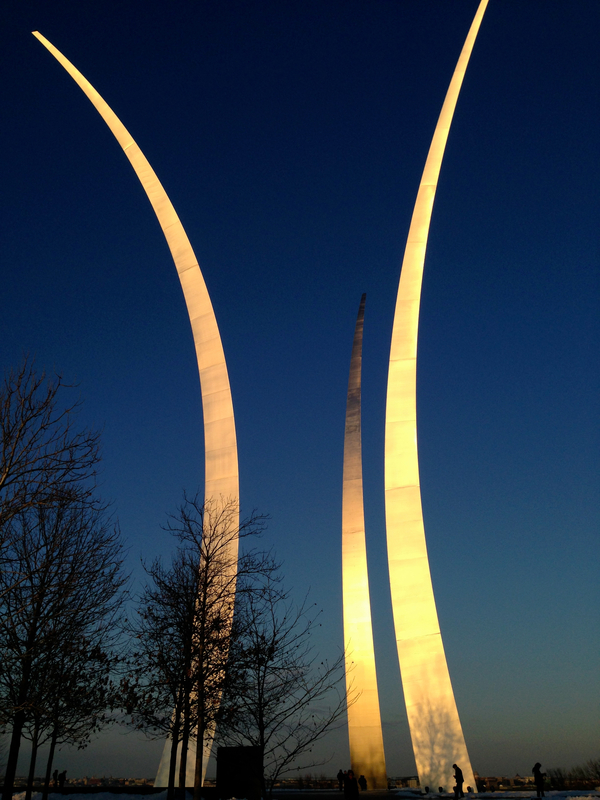 Built to resemble the contrails of three Air Force jets performing the “Missing Man Maneuver” for a fallen 4th pilot, the United States Air Force Memorial is a beautiful work of art, engineering marvel, and hallowed place of honor. 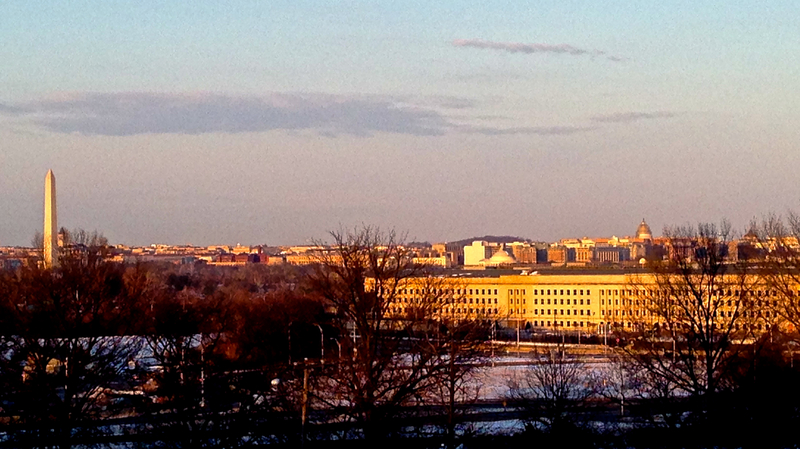 It is set on a hill in Arlington, VA overlooking the Pentagon and beyond that the city of Washington, DC. 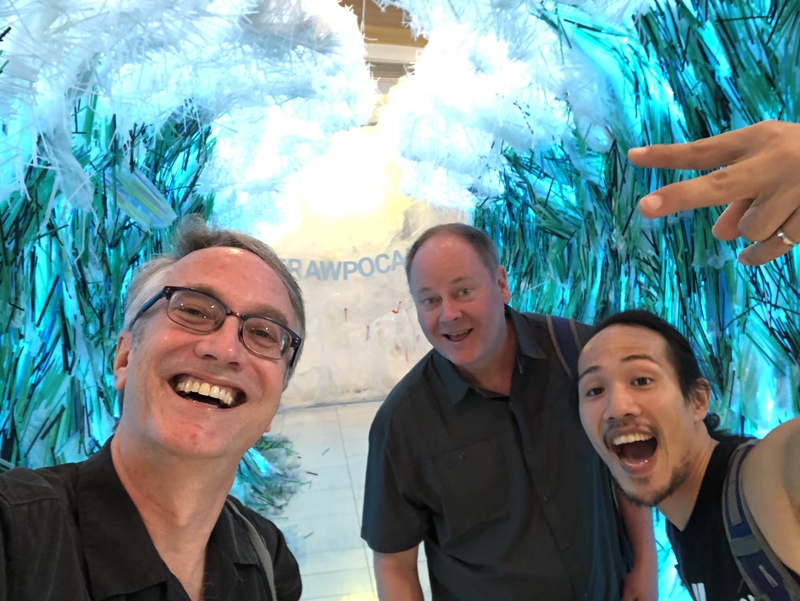 Our walk began at a shopping center, the Fashion Centre at Pentagon City, or Pentagon City Mall. Because this walk takes you along the edge of the Pentagon Reservation, it’s difficult to park anywhere other than commercial parking. From the mall, we entered a long pedestrian tunnel which passes under the major artery into DC, I-395. The tunnel is surprisingly quiet and calm considering above is 9 lanes of constant heavy traffic. 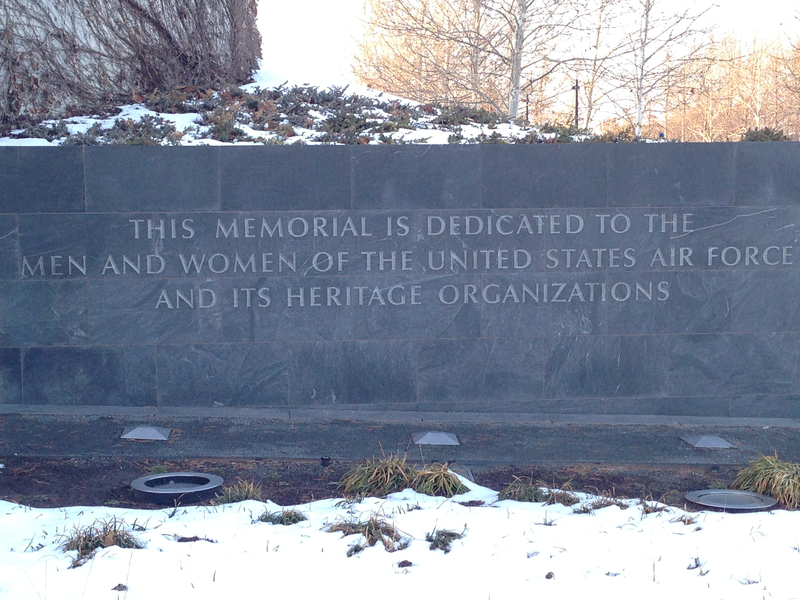 I had hoped to include the 911 Pentagon Memorial in this post but recent snowstorms had closed the memorial temporarily. I will return to that spot because it’s very beautiful and worth posting. As I emerged from the tunnel I immediately snapped a picture of the country’s military headquarters before seeing the small white sign that says “No Photography”. 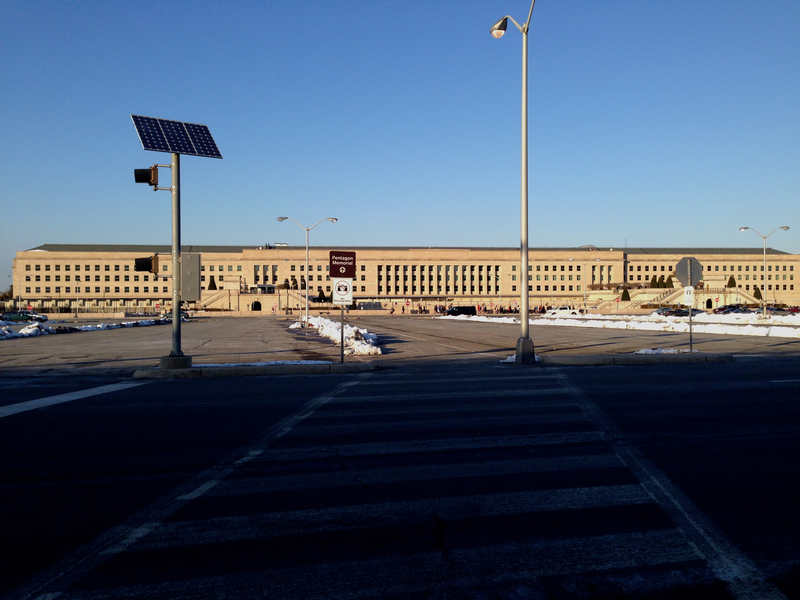 The Pentagon, as one might imagine, is extremely secure and you are not allowed to take photographs while on the grounds of the reservation. 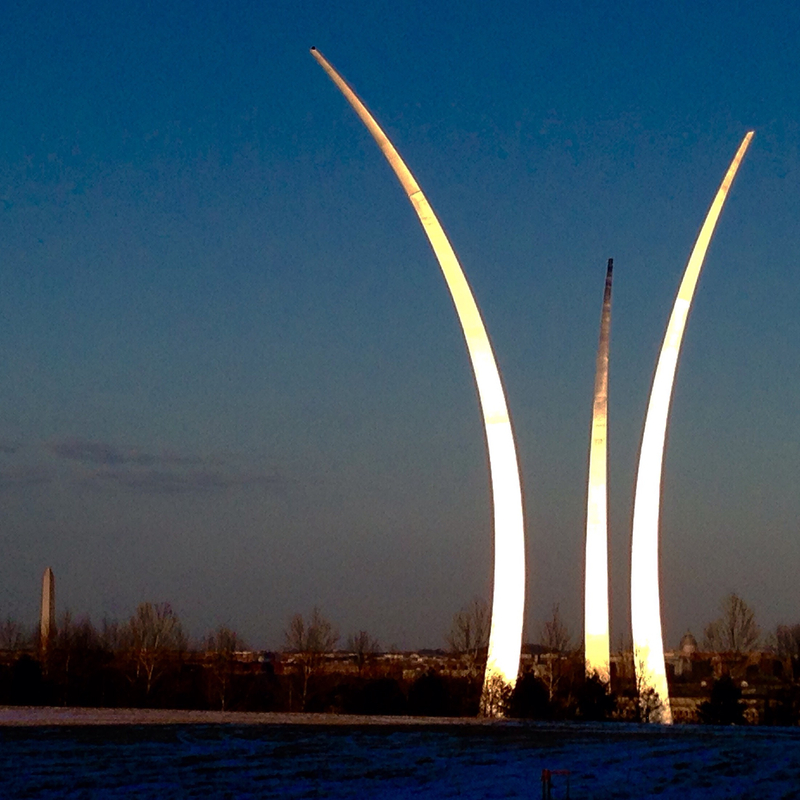 We quickly passed through the perimeter and out the other side toward the Air Force Memorial. 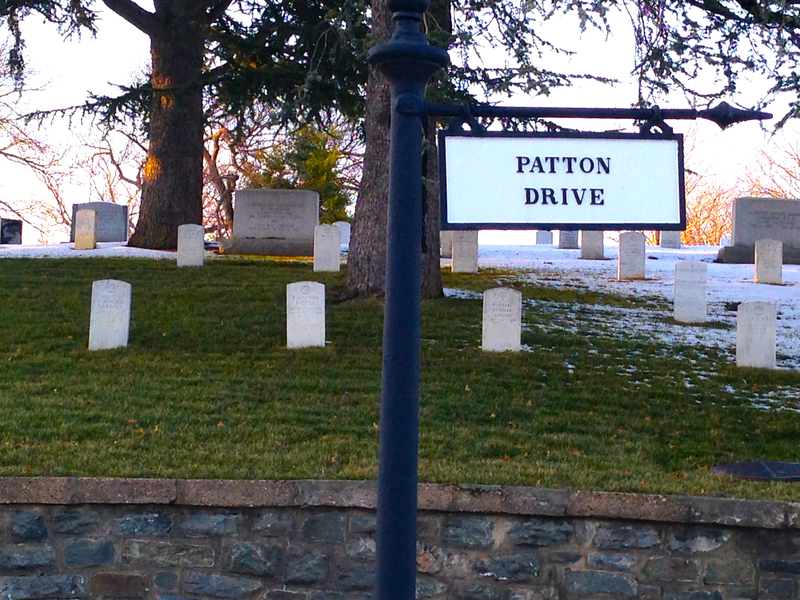 The route takes you along the southern edge of Arlington National Cemetery. This is an older section and the stones are not uniform white tablets like the rest of the cemetery. There is an entrance gate that leads to Patton Drive. 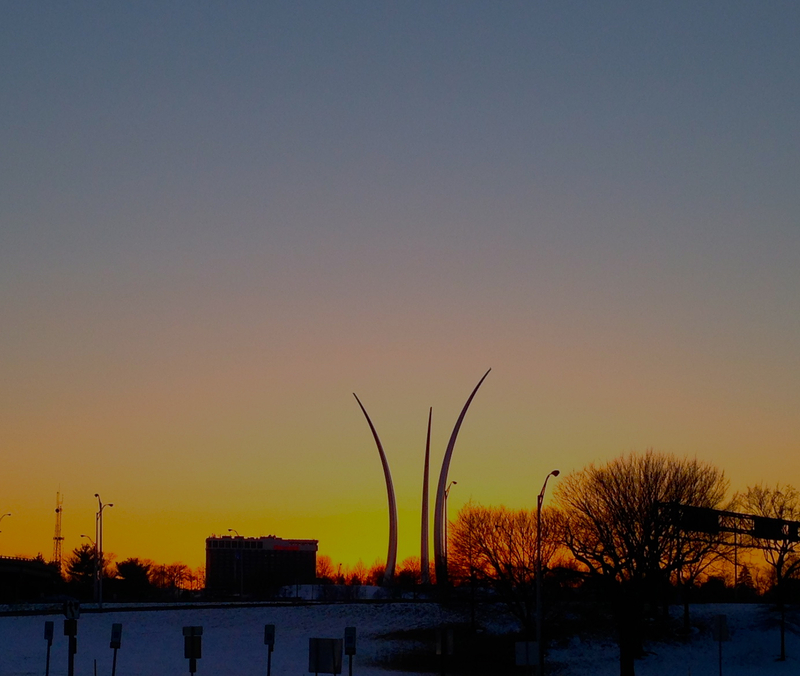 The Air Force Memorial borders the southern edge of Arlington National Cemetery where the entrance gate leads to Patton Drive. The memorial is on a hill and we walked sort of up the backside of the hill to get between the setting sun and the monument. Armed with only the photography expertise built into an iPhone 5, I was able to capture gorgeous shots of the monument and the cityscape of Washington, DC, all bathed in golden winter sunlight. I just can’t get enough of these sunset pictures with their warm hues and golden light! As we got to the top of the hill, we walked through a residential neighborhood with a small park. There we found a piece of Arlington history I had never heard. 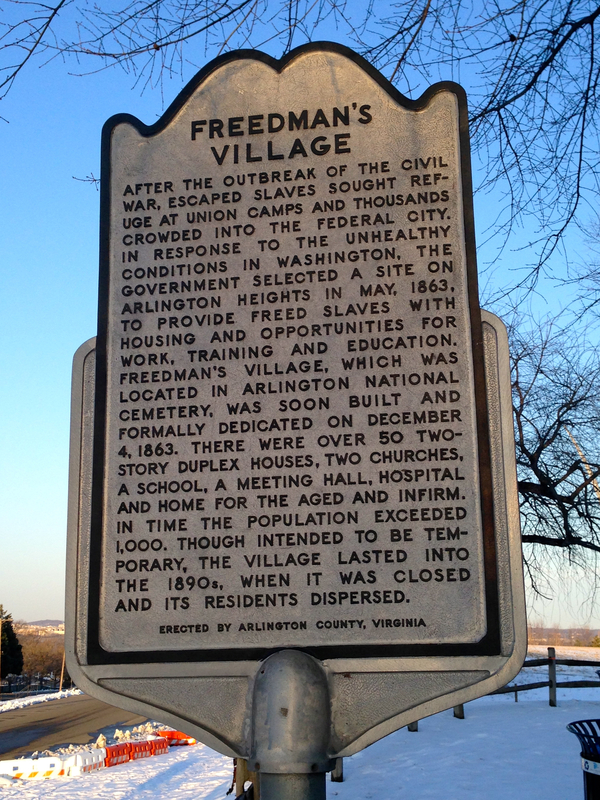 This tract of land, known as Freedman Village was set aside by the government at the end of the civil war to offer housing and a community for freed and escaped slaves. The homes on this street were modest, small homes and though they are only a mile from the Potomac River it was not an exclusive address because they butted up against an unattractive World War II era military building, the Navy Annex. This all changed recently when the Navy Annex was torn down giving these modest homes a spectacular view! Until recently this empty field was the rather unattractive Navy Annex, a World War II era military building. Although I’m sure it won’t last long, the homes on the edge of this field today enjoy a spectacular view! 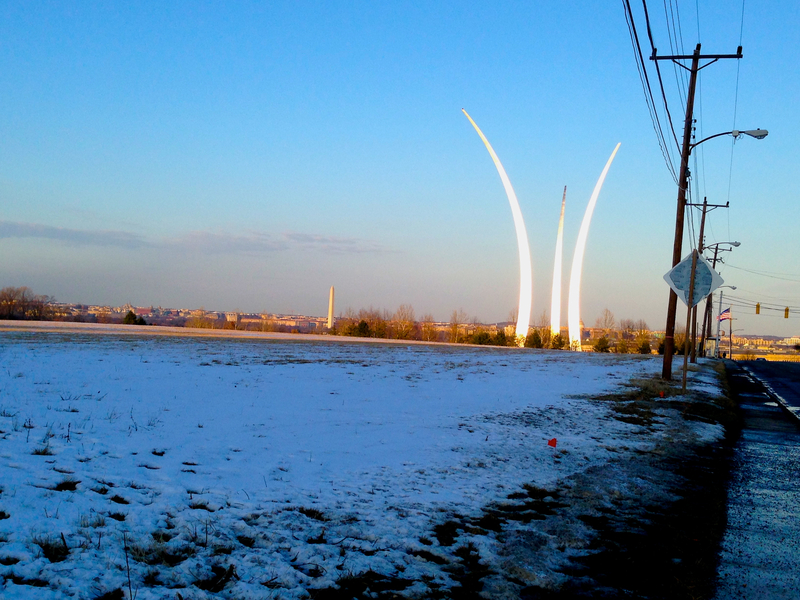 The Air Force Memorial is set in a large open space on the escarpment of Arlington Heights. The lines are clean and the view is panoramic. 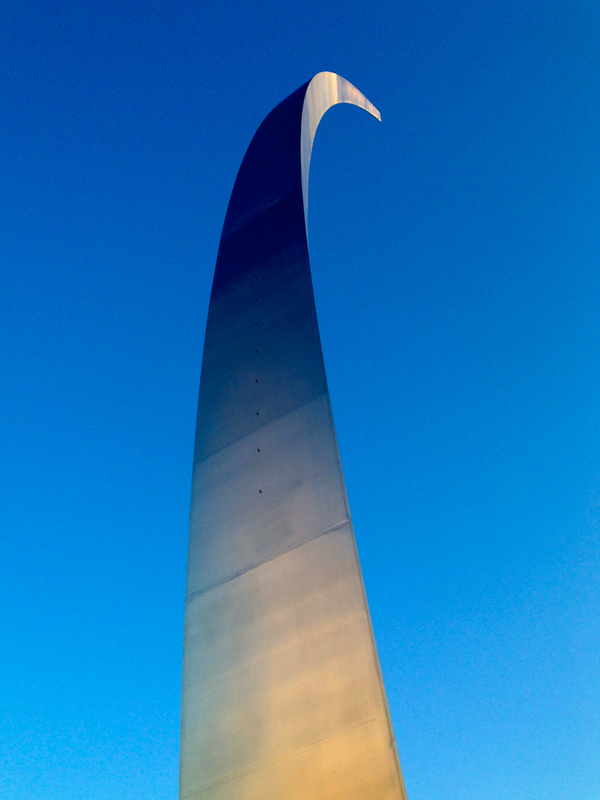 It is a graceful soaring monument that fits its space well from any angle, from any distance. It it a really enjoyable experience just to be there. The monument itself is an impressive feat of engineering. Three spires ranging from 201 feet to 270 feet. They are equilateral triangles coated in stainless steel, described as “asymmetrical and dynamic”. The different heights of the three spires make the monument interesting from all angles. High tech weighting within the spires enables the balancing act required for the forms. the spires are equilateral triangles coated in stainless steel. 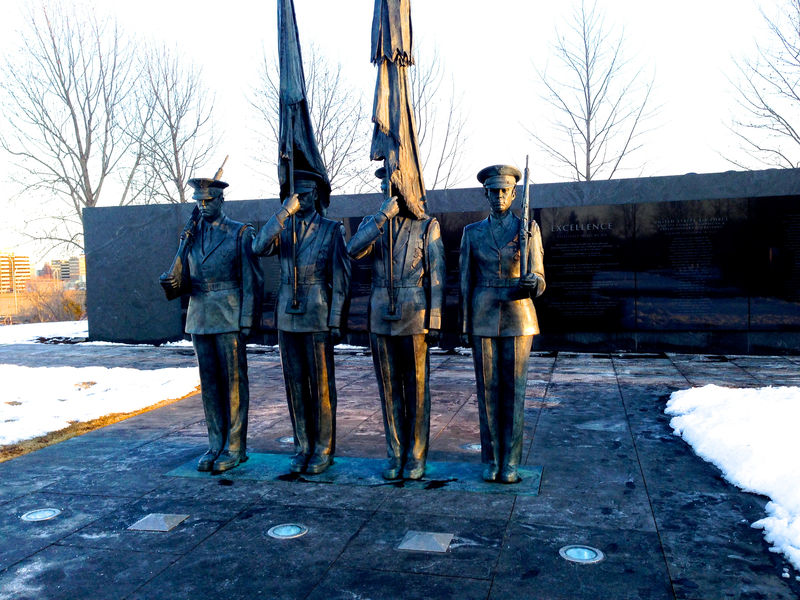 The memorial is a place of honor, and a permanent statuary honor guard stands watch. 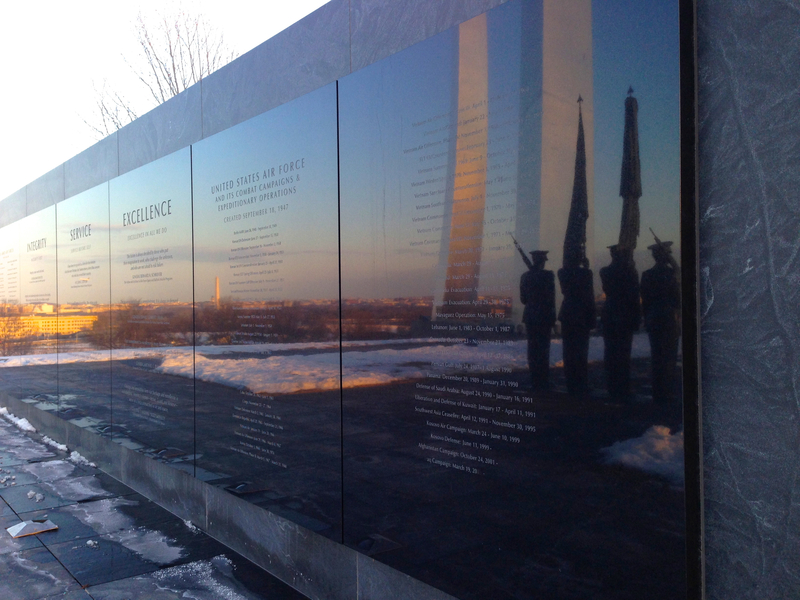 Behind the honor guard is a black glossy marble wall depicting the core values of the Air Force. Once again, being in the right place at the right time, I was able to capture a stunning photograph with the setting sun behind me. In one shot I could see the wall itself and its reflection of the honor guard, the Pentagon, the Washington Monument and city of DC, and the base of the AF Memorial spires. As we stood admiring the memorial and the light created by the sunset, we watched a military helicopter take off from the Pentagon. 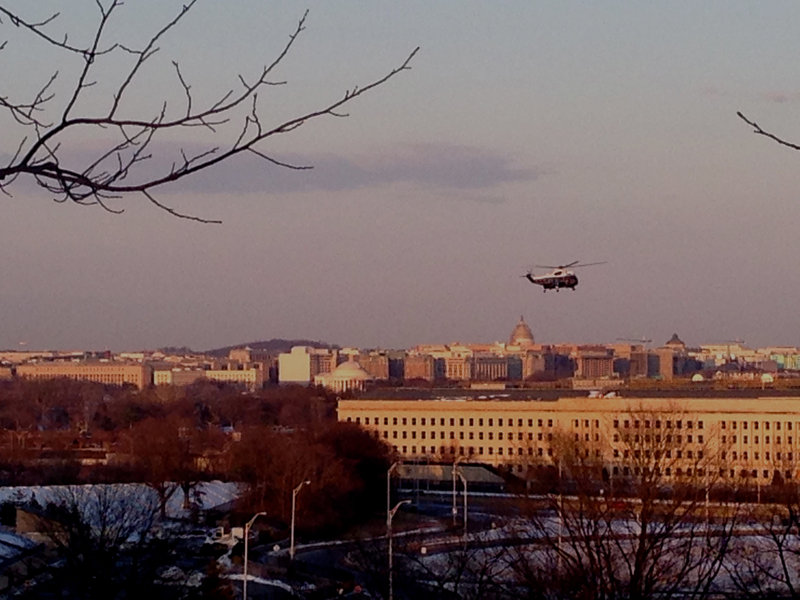 Behind it, the US Capitol, Library of Congress, and the city of Washington glimmered. Such power, such symbolism. It is this face of the Pentagon that was struck on 911 by Flight 77. The sun just about set, we headed back down the hill. This would actually be about a 3.5 mile walk and not one we wanted to do in the dark. At the base of the hill I turned back to catch the silhouette of the memorial in the setting sun. I reflected on the fact that my own father was honored by this monument. He flew cargo planes in Viet Nam. It is illuminated at night and also very beautiful in the dark. 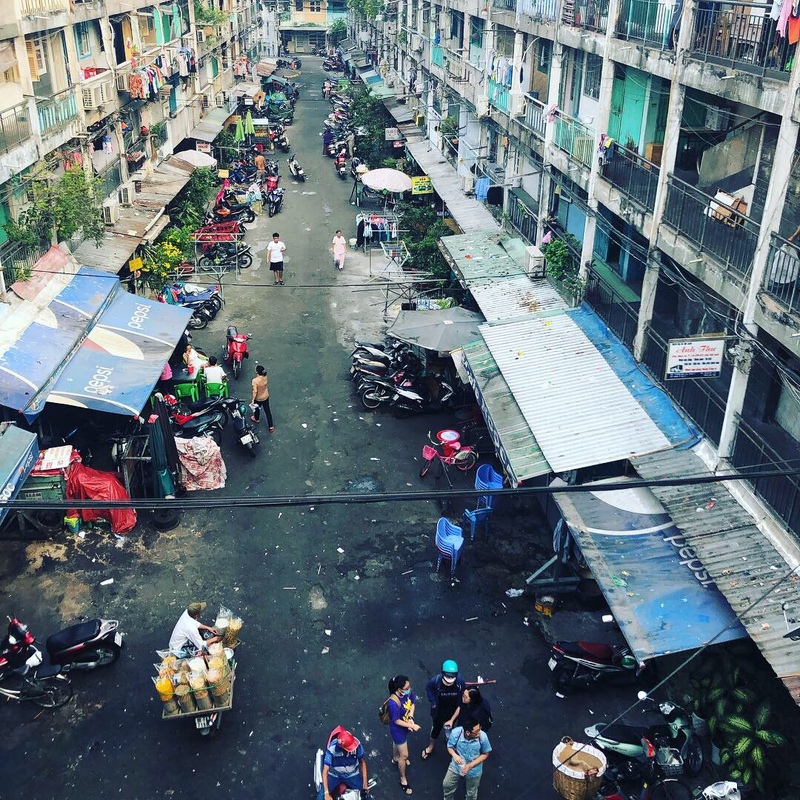 It’s a low-key monument compared to the crowds at the Lincoln Memorial or the elevator to the top of the Washington Monument; but it’s not one you should skip. I rode my bike up there last summer. So few people visit there and it really is quite impressive. I have heard that they are having engineering problems though. That the hill that it sits on cannot support the weight of the monument and it is beginning to collapse. Hopefully, the engineers can figure that out. Thanks for the news, that’s really interesting! How does one shore up a hill? I rode my bike up to this monument last year. The spires represent jet trails. It’s really a worthwhile visit.